You’d be hard-pressed to find a more definitive scholarship of Metallica, one of metal’s most polarizing bands, than the massive two-volume set by music journalists Paul Brannigan and Ian Winwood. 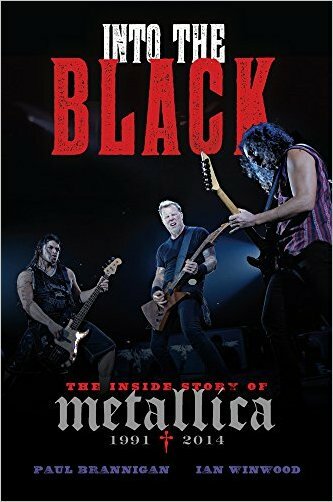 The first book, Birth School Metallica Death, covering the band from its founding up to 1990, came out in 2013. The follow-up, Into the Black, picks up from 1991 and carries on through the release of some of their more experimental, but ultimately tepid albums. The duo, who have interviewed the band face to face many times over the past couple of decades, have a knack for giving an insider’s view of the band without slipping into biased fawning. While it’s clear from some of the descriptions that the duo are fans of much of the band’s music, they are not above painting an honest picture of the group, their personal relationships and their work. Nowhere is this more obvious than the book’s coverage of the Napster debacle. The band, led by drummer Lars Ulrich, started a completely tone deaf attack in the media on the file sharing start-up and many of their fans who had used the service to swap Metallica songs. Regardless of how you feel about Napster, parading box after box containing the names of your fans in front of cameras and stating “If we have to start knocking on doors and confiscating hard drives, so be it,” is probably not going to bring much sympathy. The authors also devote chapters to the now infamous band therapy sessions (as seen in the documentary Some Kind of Monster) and talk to former Metallica guitarist and Megadeth founder Dave Mustaine about being blindsided by the band and camera crew during one of the therapy sessions. 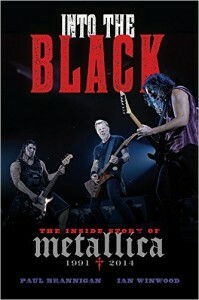 This concluding book also covers off on the band’s creation of the wildly popular Big Four tour series (featuring thrash pioneers Metallica, Anthrax, Slayer and Megadeth); the departure of longtime bassist Jason Newsted and the release and reaction to their last five albums, concluding with 2008’s Death Magnetic. Regardless of how you feel about Metallica’s music, through their conversational writing style and exhaustive research, Brannigan and Winwood have managed to pull together such a compelling look at the band that even their biggest detractors would have a hard time putting the book down.